Sorting out a mountain of screws and other workbench detritus by hand is a task that only appeals to a select few of us. [AdrienR] is not one of those people. He believes the job is better suited to a robot, so he built an intelligent and good-looking machine that does just that. [Adrien]’s sorting bot is capable of organizing a hodgepodge of parts quickly and effectively. He simply scatters the parts on the light box work surface, illuminates it, and takes a picture with a downward-facing web cam. 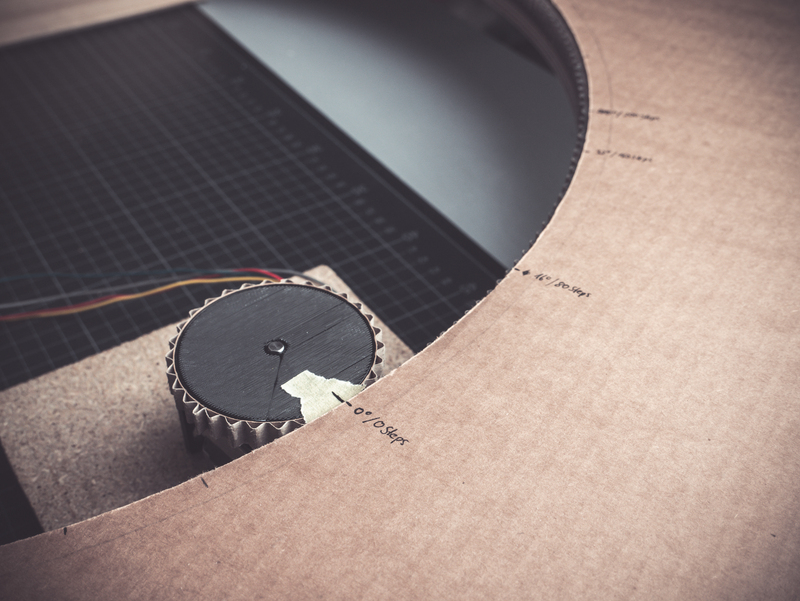 An algorithm studies the parts and their positions using OpenCV image processing, and sends the triangulation back to the arm so it can pick and place the parts into laser cut boxes using a home brew electromagnet. [Adrien] calls this a work in progress. He plans to control it with a Raspberry Pi so it can be a standalone unit, and will probably move the parts boxes to the outside curve. Drop yourself past the break to see it sort. If delta robots are more your sort, this one has balls. Colored balls. If you live in a bustling city and have anyone over who drives, it can be difficult for them to find parking. Maybe you have an assigned space, but they’re resigned to circling the block with an eagle eye. With those friends in mind, [Adam Geitgey] wrote a Python script that takes the video feed from a web cam and analyzes it frame by frame to figure out when a street parking space opens up. When the glorious moment arrives, he gets a text message via Twilio with a picture of the void. It sounds complicated, but much of the work has already been done. Cars are a popular target for machine learning, so large data sets with cars already exist. [Adam] didn’t have to train a neural network, either–he found a pre-trained Mask R-CNN model with data for 80 common objects like people, animals, and cars. The model gives a lot of useful info, including a bounding box for each car with pixel coordinates. Since the boxes overlap, there needs be a way to determine whether there’s really a car in the space, or just the bumpers of other cars. [Adam] used intersection over union to do this, which is conveniently available as a function of the Mask R-CNN model’s library. The function returns a score, so it was just a matter of ignoring low-scoring bounding boxes. [Adam] purposely made the script adaptable. A few changes here and there, and you could be picking up tennis balls with a robotic collector or analyzing human migration patterns on your block in no time. Or change it up and detect all the cars that run the stop sign by your house. Thanks for the tip, [foamyguy]. If you collect trading cards of any kind, you know that storage quickly becomes an issue. Just ask [theguymasamato]. He used to be really into trading cards, and got back into it when his kids caught the bug. Now he’s sitting on 10,000+ cards that are largely unorganized except for a few that made it into sleeve pages. They tried to go through them by hand, but only ended up frustrated and overwhelmed. Then he found out about [Michael Portera]’s Pi-powered LEGO card sorter and got all fired up to build a three-part system that feeds cards in one by one, scans them, and sorts them into one of 22 meticulously-constructed cardboard boxes. [theguymasamato]’s card sorter is the last stop for a card after the feeder has fed it in from the pile and the scanner has scanned it. The sorter lazy Susans around on a thrust bearing, which is driven by a 3D printed drive wheel attached to a stepper. The stepper is controlled with an Arduino. Here’s where it gets crazy: the drive wheel and timing belt are made from the flutes of corrugated cardboard. As in, he used that wavy bit in the middle as gear teeth. Every one of those cardboard teeth is fortified with wood glue, a time-consuming process he vows to never repeat. Instead, [theguymasamato] recommends using shims to shore them up as he did in the card feeder. The whole thing was originally going to be made from cardboard. It proved to be too mushy to support the thrust bearing, so [theguymasamato] switched to MDF. Right now, the sorter is homed via button press, but future plans for the device include an IR break beam switch. We’re excited for the scanner and can’t wait to see the whole system put together. While [theguymasamato] works on that, position yourself past the break to watch the build video. [foamyguy] loves Python and messing around with electronics. Boards such as Adafruit’s Circuit Playground Express make it easy for him to take both anywhere. He recently found himself wanting to program Circuit Python boards in the field, but doesn’t always have a laptop on him. So he created an Android app to make on-the-go programming fast and easy. Using CircuitPython Editor and one or two USB cables, you can program Circuit Python boards with most Android device, including Tinkerboards. It features serial communication, a basic code editor, and a REPL sandbox for code-based castle building. [foamyguy]’s most recent addition to this work in progress is a macro creation tool that lets you edit and store modular, repeatable tasks, like turning all the NeoPixels blue, or lighting them up in a smiley face pattern. The Circuit Python board will draw its power from the Android device, so keep that in mind before you program some crazy light show. You can get the app in the Play store or download it directly from the ‘hub. If you have any trouble setting it up, check out [foamyguy]’s Adafruit guide. When Marie and Pierre Curie discovered the natural radioactive elements polonium and radium, they did something truly remarkable– they uncovered an entirely new property of matter. The Curies’ work was the key to unlocking the mysteries of the atom, which was previously thought to be indivisible. Their research opened the door to nuclear medicine and clean energy, and it also led to the development of nuclear weapons. 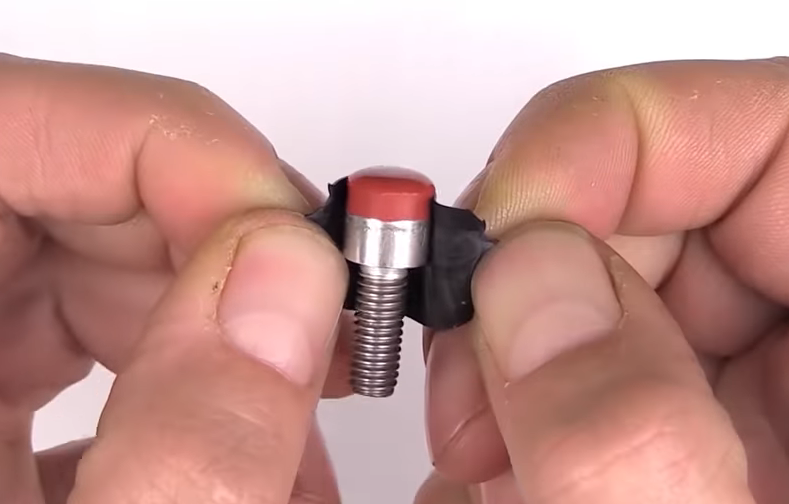 A parts tumbler is a great tool to have around. But if you don’t use it all the time, it’s hard to justify dropping hundreds of dollars on one. Fortunately, there are many ways to make your own tumbler while tailoring it to meet the need. Because really, as long as you get the medium moving enough to abrade the parts, you’re good. [Daniele]’s parts tumbler is cool because it’s fairly easy to make, it’s really quiet, and it does the job quickly. This tumbler moves the medium by using an imbalanced plastic fan, which [Daniele] created by drilling a hole through one of the blades and fastening a short bolt and nut through it. If you’ve ever tried to stop a washing machine from walking away, you may be thinking this is a strange idea, because now he’s got a 4500 RPM vibration machine scuttling about the shop. So really, the true genius of this build lies in the great pains [Daniele] took to absorb all that vibration. He’s got the fan float-mounted on rubber-lined springs and rubber mats under the washers involved in connecting the latching plastic box to the fan. Our favorite anti-vibration features are the twist-lock power connector and the custom silicone feet made from Motorsil D and cap bolts. We don’t know what the medium is here, but it’s got us thinking Grape-Nuts might work. Blow past the break to chew on the build video. The only problem with this build is that this type of fan isn’t cheap, and using it this way will definitely shorten its life. Not a fan of this type of tumbling? Here’s one that takes your drill for a spin.